Super Snack Time (Free) by Little Guy Games Inc is a frantic bubble popping adventure. We told you about the latest update to the game, but I decided to take the game for a test drive myself. And I am quite addicted to this juicy game. I’m quite impressed with the visuals for this title. I honestly thought that with visuals this good, the game would have at least cost a dollar or two. But nope! 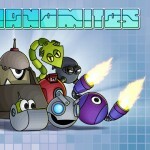 It’s absolutely free to play, but there are of course, in-app purchases for more coins to spend. 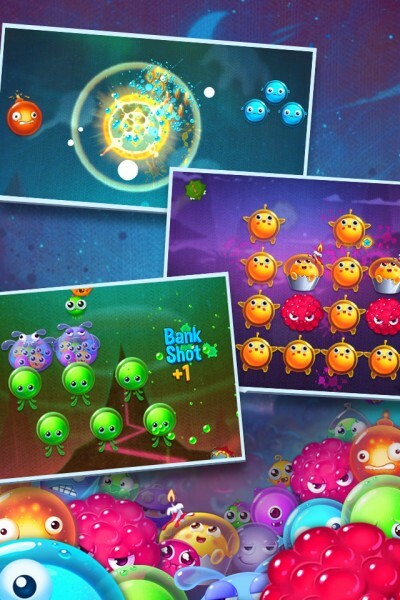 I love the vibrant and colorful graphics that the game features, though, because that’s one of my favorite things about bubble popper games — rich visuals that keep you coming back for more. 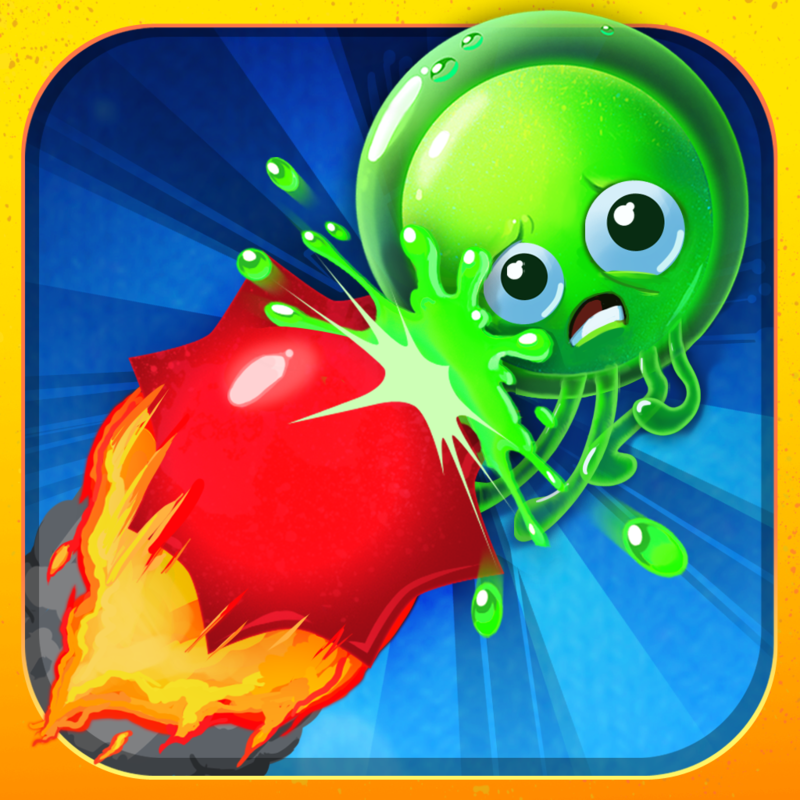 The sound effects are rather amazing as well, each time you pop a Gobblen, you hear a succulent sound, kind of like in Fruit Ninja. So what do we have in Super Snack Time? There are two kinds of creatures: the Hoggians, which resemble little hedgehogs, and the Gobblens, who want to conquer the Hoggians. However, the Gobblens resemble snacks, like fruit and other delicious treats, and actually provide nourishment when popped for our hedgehog friends. What does this mean? 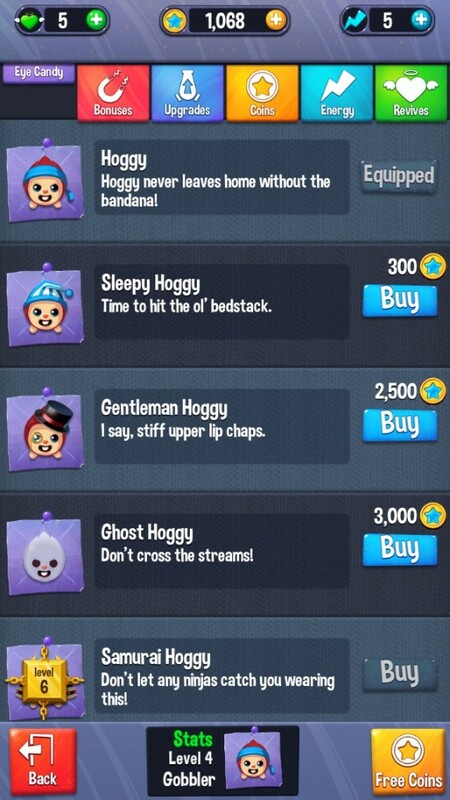 The Hoggians are armed with a giant slingshot and will launch Hoggy the Snack Master into the Gobblens to defeat the oncoming waves. 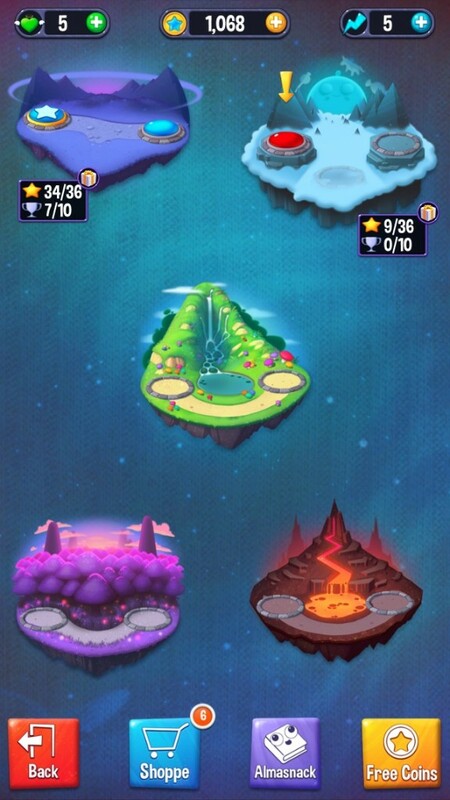 The game has 60 levels spread out over five different areas. Each environment will also have two sections, with six levels in each. There are standard levels and other survival levels mixed in every now and then, so the variety is kept fresh. 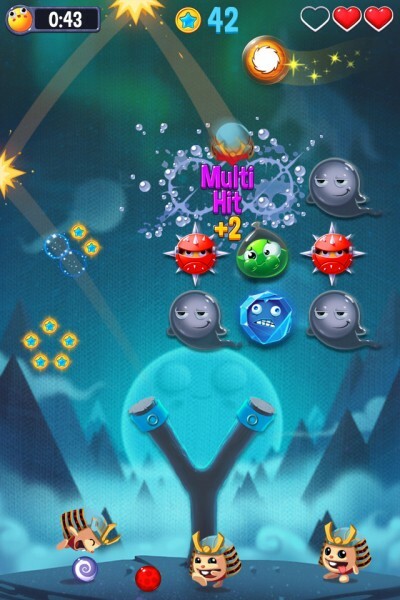 You will have to clear out levels to be able to move forward. The controls are rather simple, especially if you have played these types of games before on iOS. Just touch and drag on Hoggy to aim him in the slingshot. You will see a small arrow that will give you an idea of the trajectory, but you won’t be able to see the exact path. I found that it’s incredibly fast and easy to aim him around, so responsiveness is not an issue. Hoggy can bounce off of the screen edges as well, so use this to your advantage. 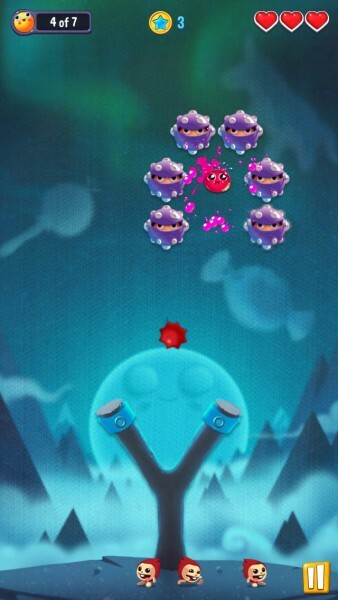 In each level, several Gobblens will scroll in from the sides and continue to move horizontally until they can escape on the other side of the screen. Your goal is to prevent them from escaping by popping them all before that happens. If they escape, you lose a heart, and you only have three to spare. 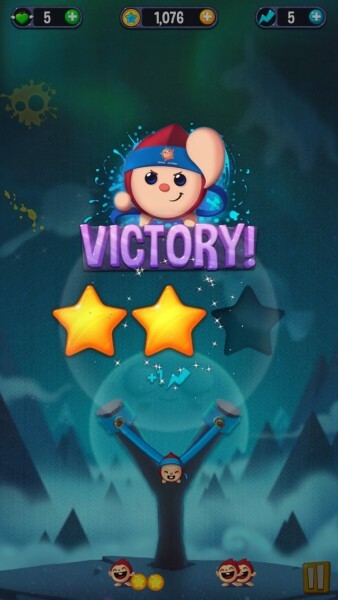 The more efficient you are at getting rid of them as fast as possible the more stars you earn for the level (maximum of three). 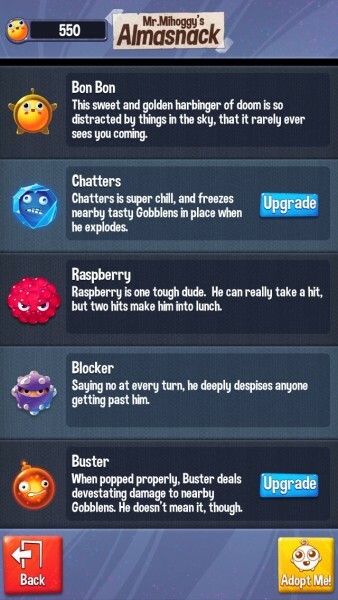 As you play, you will also come across different Gobblens, such as rude raspberries (take two hits before popping), bombs, ice cubes, and more. 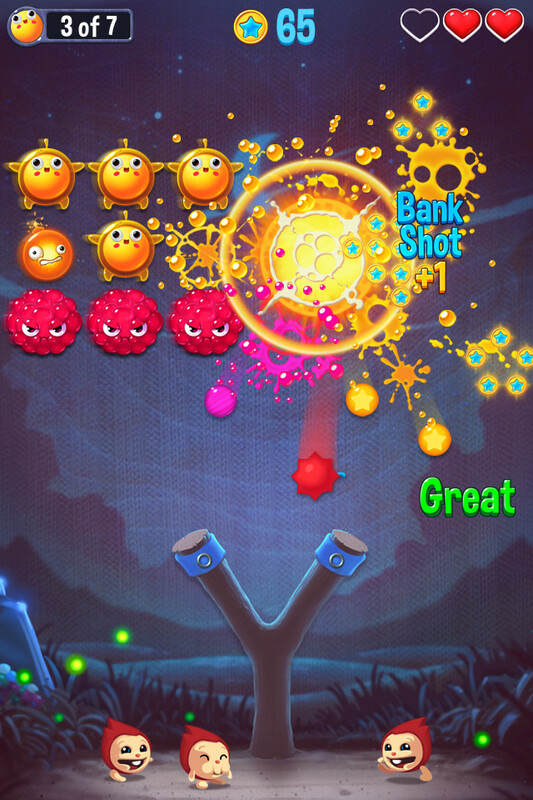 If you can get a combo of at least five, then you will get a massive explosion that will clear out most (if not all) Gobblens on screen, so aim your shots carefully. 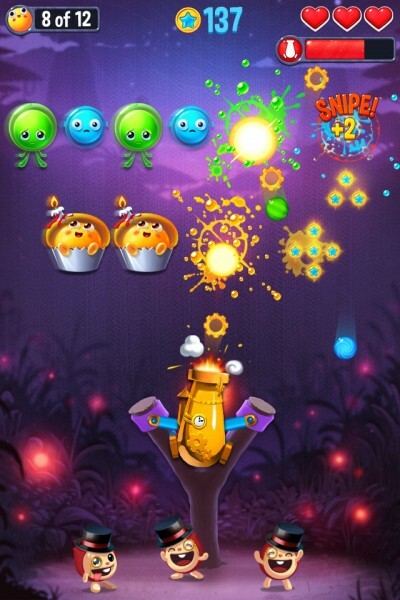 There are also power-ups that you can collect to make the job easier, like the Super Cannon, or the Coin Magnet. When Gobblens are popped, they will often leave behind star coins. You’ll want to collect as many of these as you can, because this is the currency that you’ll use in the shop to get power-ups and upgrades, costumes, bonuses, energy, revives, and more. 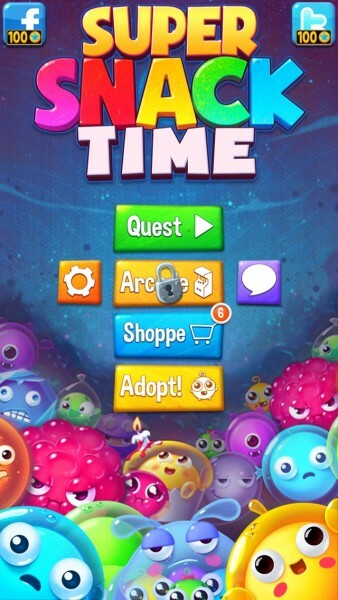 Since the game is free, there are some ads and quite a few in-app purchases. You can also earn more coins by watching advertisements or using social media — I’m not too keen on this, but I guess I can’t really complain since it’s free. There are also new daily rewards and challenges that you should complete to earn more coins. It’s also great that the game rewards you for coming back to it each day. If you are able to get to complete the first stage of the third island in Quest Mode, you will unlock the brand new Arcade Mode. It’s basically an endless mode, where you pop Gobblens until it’s game over. There is Game Center support for leaderboards (Gobblens Popped and Arcade High Score) and 20 achievements to obtain. I’m finding the game to be a lot of fun, especially for a free title. The only thing that I don’t like are the ads, but that is to be expected from a free game. 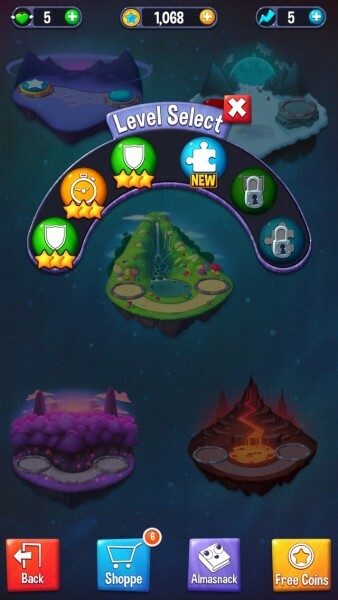 However, the ads are not incredibly obtrusive, as they only show up every now and then when you are selecting a level, and they don’t show up in the middle of the game. 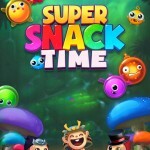 If you’re looking for a ripe new bubble popping game, then I highly recommend checking out Super Snack Time. It’s available for free for your iPhone in the App Store. There is also a separate iPad version available for free as well.